Just a few minutes from downtown in East Nashville, East Park and Recreation Center is a great place to run off some energy! The park is large, encompassing more than 2 city blocks of green space. There is a large climbing structure, a spiderweb climber and swings. The climbing structure and slides are on soft padded rubber perfect for little ones to safely crawl. The swings and spiderweb have recycled tire mulch underneath them to pad falls. Bring some snacks and spend some time on the shaded benches next to the playground. In addition to the play equipment, East Park also has a baseball field and a large grass area to run and explore. It is a perfect place for festivals and plays host to the annual East Nashville Beer Fest, Hot Chicken Fest, East Nashville St. Paddy’s Day celebration and more! While you are at the park, be sure to stop by the East Park Recreation Center. 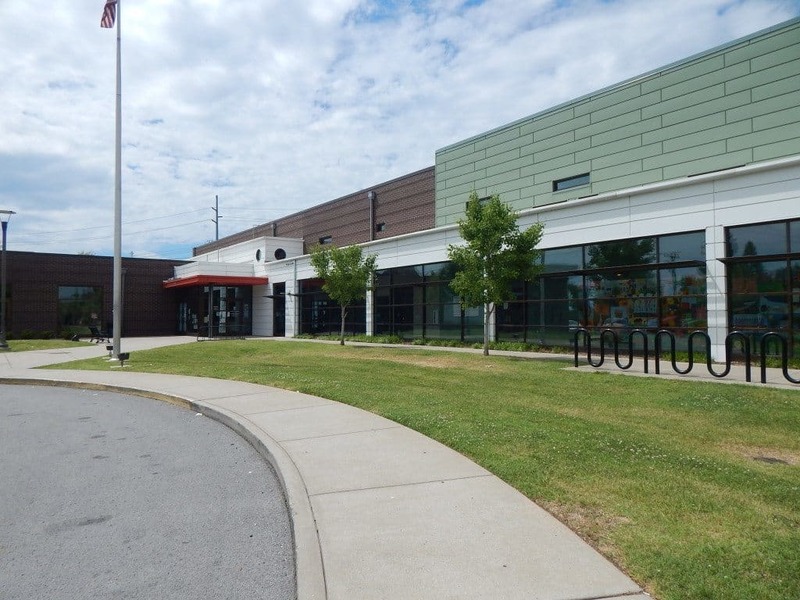 It is one of seven regional Nashville Metro Recreation Centers and has lots of amenities including an indoor pool which is FREE to use during open family swim time! Check out the schedule HERE (scroll to the second page). You can also use the gym, walking track, and game room also at no charge. There is a small fee for the fitness center and for some of the classes that are offered. Check out the class schedule HERE.